Richard Allington writes in What Really Matters For Struggling Readers that for every story in the average basal, there are 270 minutes of “stuff” for students to do: worksheets, writing prompts, answering questions, studying long lists of spelling words, etc. What if we turned that statistic on its head, he asks? For every unit, students read for 270 minutes and do stuff for 30? That change alone would improve reading scores. At the very least, teachers can boost the number of minutes students read when they're in our care. My number one suggestion for increasing reading time is eliminate Round Robin Reading (reading one at a time in front of your peers) and its clone Popcorn Reading (reading until you choose to hand off the reading to your peer, trying to catch him at not paying attention). Instead, use partner reading in all subject areas. Partner reading has many benefits. As opposed to the old way where everyone listened to one student read (round robin reading), partner reading gives everyone a chance to read at the same time. In the old scenario, each student read about 1-2 minutes in a 30-minute period. With partner reading, each student reads to a friend for 15 minutes. With partner reading, readers have more choices. Different ways of reading the text are introduced. The partners choose. 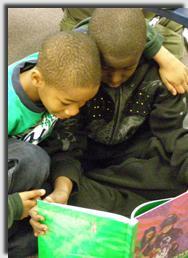 Each student reads in front of one trusted friend whose responsibility is to listen and help. Not only do they read more, but because students are more comfortable when they practice, they learn how to read better and comprehend more. Another flaw with round robin is that the reader doesn’t get to practice without interruption. As soon as the reader makes a mistake, ZAP! The teacher swoops right in to correct the mistake. Or worse, the reader’s peers do. We now know that constantly stopping readers to correct them actually creates word-for-word readers. As a result, they are anxious to read each word perfectly and concentrate so hard on pronouncing every word, they can’t “listen” to their own reading. They can’t build up speed and read fluently either, which in turn compromises their comprehension. These problems don’t happen in partner reading. Integrate partner reading into reading group time or independent reading time. When a student is in a reading circle, the teacher gets close to one reader at a time and listens while the others read silently or partner read. The teacher takes notes as she monitors each student’s ability to use fix up strategies. After the student reads just a few minutes, the teacher and student talk a minute about the text. The instructor teaches one skill and then moves to listen to the next student read. In this way, the teacher listens to and confers with everyone in a reading group in about 15 minutes (not including minilesson and closure). Plus, each student practices reading with the help of a classmate or a teacher for the full 15 minutes. The following list is a brief explanation of how to actively engage readers to improve their skills and love reading. After an introduction to each, students experiment to find which work and which don’t. Partners choose which method to use depending on the purpose of the task. Echo Reading - One partner reads a line. The other partner repeats the line. Expressive Reading - One partner reads a section. The other reads the section with more expression than his partner. Part Reading - One partner reads the characters’ parts using different voices. The other partner reads the narrator’s parts. Taking Turns - One partner reads a sentence, paragraph, or page. The other reads the next sentence, paragraph, or page. Partners do not have to read the same length. Here is research explaining why round-robin reading is not supported, plus suggestions for effective partner reading.